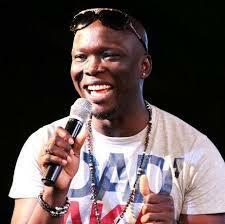 Self-acclaimed comedy beliscony, Godwin Komone, famously known as Gordons, has called on the Federal Government of Nigeria to declare tithes and offerings illegal in churches. According to him, with that, Nigerians will know the clerics who are truly called by God. The comic merchant gave this advice in his latest comedy collection entitled ‘Comedy Clinic.’ The Delta-State comedian believes that the many problems currently facing Nigeria today boils down to religion.